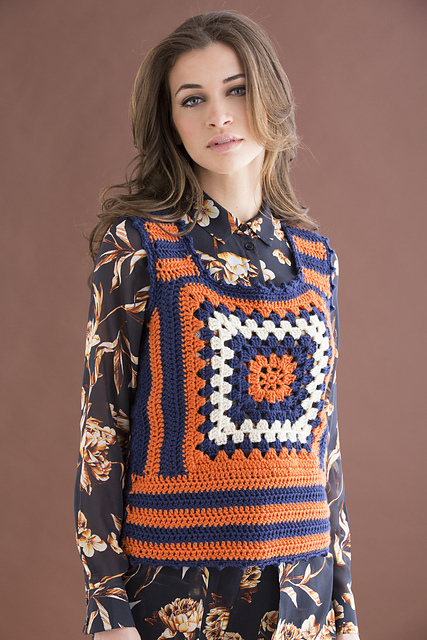 Free Patterns - Retro Vests - love. life. yarn. I recently had the chance to work with Red Heart and their wonderful yarns again to adapt this vest from one of their vintage “Rib Tickler Vests” designed in the 1970’s. Vests similar to this one have been seen this year on the runways of some famous designers and inspired this vest design. You can find this pattern for the four square vest for FREE at the Red Heart Website. There is also this large single square vest on their website here. 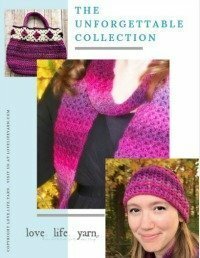 Either of these are great projects and I had such a fun time adapting the old pattern to these new designs. This vest would be great in so many color combinations! If you would like to save them on Ravelry you can find the four square project page here and the single square project page here.